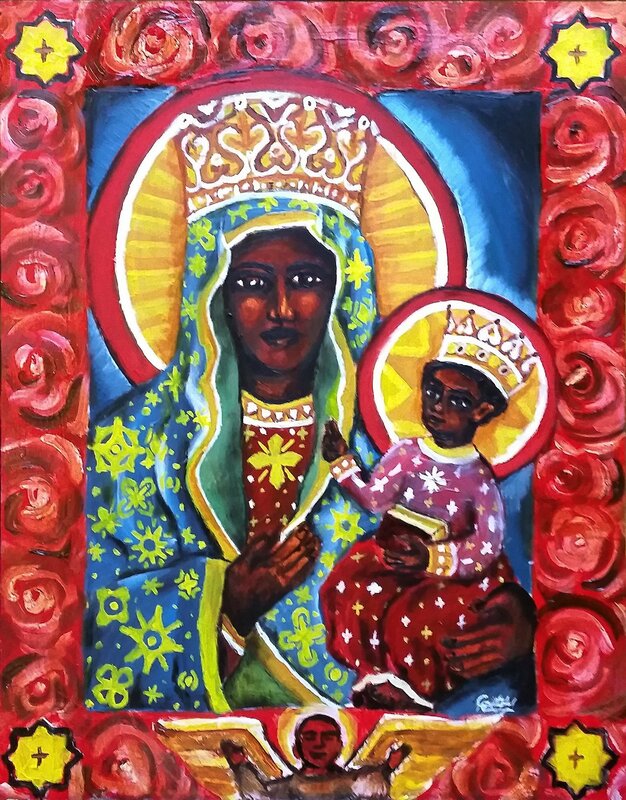 Mixing multiple styles and imagery of Mary in this Black Madonna painting. The Holy Mother is shown relating to her children of different ethnicities than the common white versions. There is imagery of African and Latin American symbols to show her universality.